Harri Serves Up Talent & Workforce Management for Upserve Customers! We're very excited to announce a new partnership with Upserve that will provide Harri customers with sales, performance and insights from Breadcrumb POS to help them better predict, manage and grow their people and daily operations. PROVIDENCE, R.I., May 16, 2017 /PRNewswire/ -- Upserve, the industry's leading full-service Restaurant Management Platform, announced it is now managing over $11 billion in annual transaction volume, making it the largest provider of cloud-based point of sale and analytics for the independent restaurant industry. "We're thrilled by our huge growth momentum as restaurants flock from 1990s-era, expensive and clunky point of sale and restaurant technology to our modern, open, affordable, cloud-based platform," said Angus Davis, CEO and Founder of Upserve. "Breadcrumb POS is easier to use and frees managers from the back office, while Upserve HQ provides data-backed insights to give restaurants a leg up on the floor, in their market, and with guests." Menufy and Open Dining join Upserve's growing online ordering program, where orders enter the Breadcrumb POS seamlessly, saving time for restaurateurs, growing revenue, and eliminating order errors. BevSpot, MarketMan, PlateIQ, SimpleOrder and xtraCHEF join Upserve's inventory program, helping restaurateurs manage their largest cost effortlessly, while boosting profits and reducing waste. 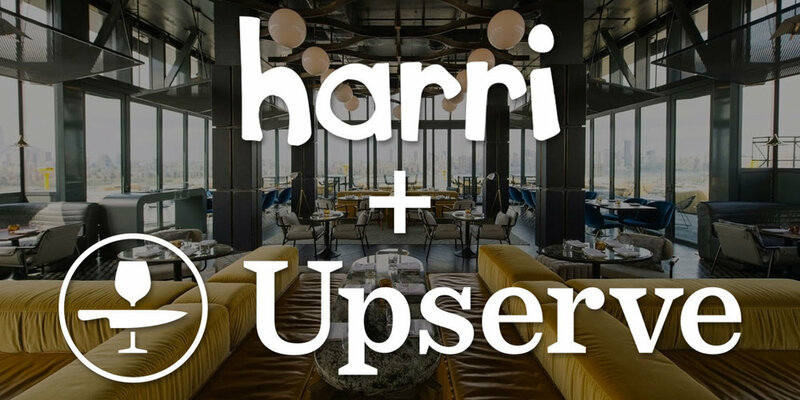 Harri joins Upserve's workforce management program, key to recruiting, training and scheduling restaurant staff who compose ten percent of the American workforce. These new additions come on the heels of the launch of Upserve Marketplace in April, signaling the market's desire for a single restaurant platform of record. Multi-Location Menu Management: Breadcrumb POS by Upserve makes restaurateurs' lives easier by simplifying the process of modifying, adding or deleting menu items across locations. A single master menu enables enterprise-wide control while preserving flexibility of managers at individual locations to make changes when needed. This new feature will be included with the "Pro" tier subscription and will be generally available later this summer. Multi-Location Menu Optimization: The Multi-Location Menu Optimization feature for Upserve HQ helps restaurateurs compare menu performance across all locations in the brand, making it easier to re-engineer menus based on national or regional customer preferences. Upserve HQ uses a smart AI matching algorithm to "map" menu items across the brand, including for multi-unit restaurants using different POS Platforms, or restaurants that have named menu items inconsistently across locations. Marketing and operations managers can even create their own customized menu reporting categories. This new feature is included with the Upserve HQ "Pro" subscription and available now. Integration with Epson Kitchen Display System: Upserve is expanding its KDS offerings by announcing the addition of fully integrated support for the Epson KDS and printer systems. This integration provides capabilities for restaurants who require a bump bar and back-up printer that displays on a large screen. Upserve will demonstrate integration at the National Restaurant Association show in Chicago, IL from May 20-23. This new feature will be included with the "Pro" tier subscription and will be generally available later this summer. Logbook for Upserve Live: The popular Logbook feature is now included in a mobile version of Upserve Live, the industry's leading mobile restaurant management app. Upserve Live users can now make Logbook entries from their phones, encouraging logbook participation by staff. Managers and owners can review accurate and timely reports from the front lines anywhere, anytime. This feature is included with Upserve Live for iPhone version 2.2, available today in the Apple App Store. Upserve also announced growth to its executive leadership team, with Brad Kime joining as Senior Vice President of Channel and Alliances. Brad brings over 25 years of leadership experience in growing and scaling companies, most notably for his role as President and Chairman of OnDeck Capital from 2009-2013 prior to that company's IPO, and subsequent executive leadership roles at LendKey and Signpost. Brad is also the owner of Tini – a popular bar in Indianapolis that has been a loyal Upserve and Breadcrumb POS client for years. Brad will lead Upserve's newly-opened and rapidly-growing New York City office.